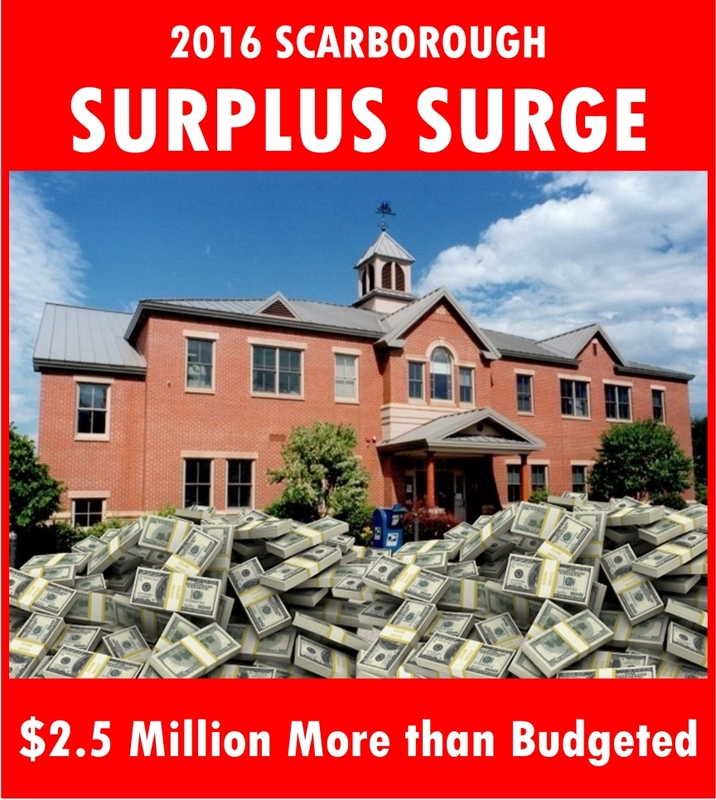 2016 Scarborough Surplus Surge! | Look Out Scarborough! 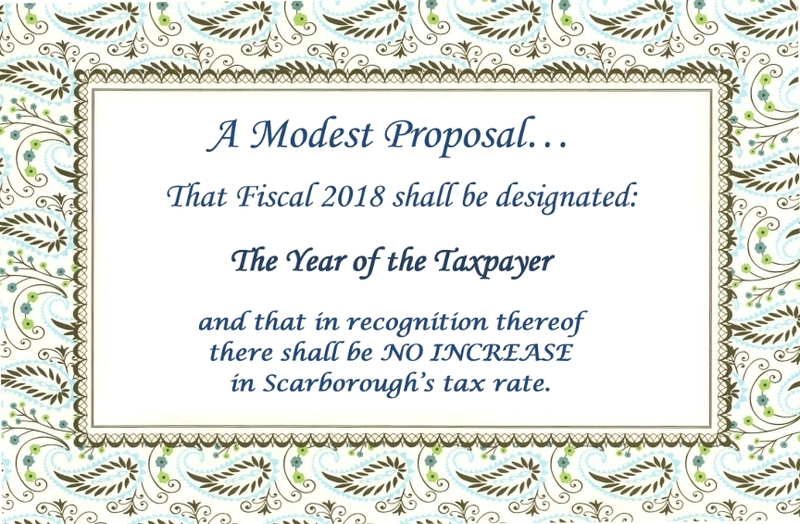 But have no fear – LookOutScarborough will shine the bright lights of transparency and elucidation on how Fiscal Year 2016 turned out… and share the important implications for future budgets and tax rates. 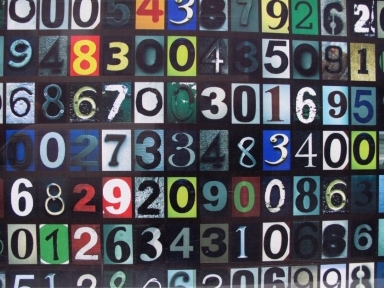 The following page of numbers — the only one you will be subjected to in this blog entry — summarizes the Town’s financial performance compared to the budget in Fiscal 2016 (which ended on June 30, 2016). Please take a quick look at it, or just skip right to the conclusions that follow it. This schedule essentially condenses all the Town’s significant municipal and school operating activities on one page. Now a CPA could quibble with some of the terminology and presentation in the schedule, but he or she would probably admit that it’s a fair summary of our core financial activities in Fiscal 2016. 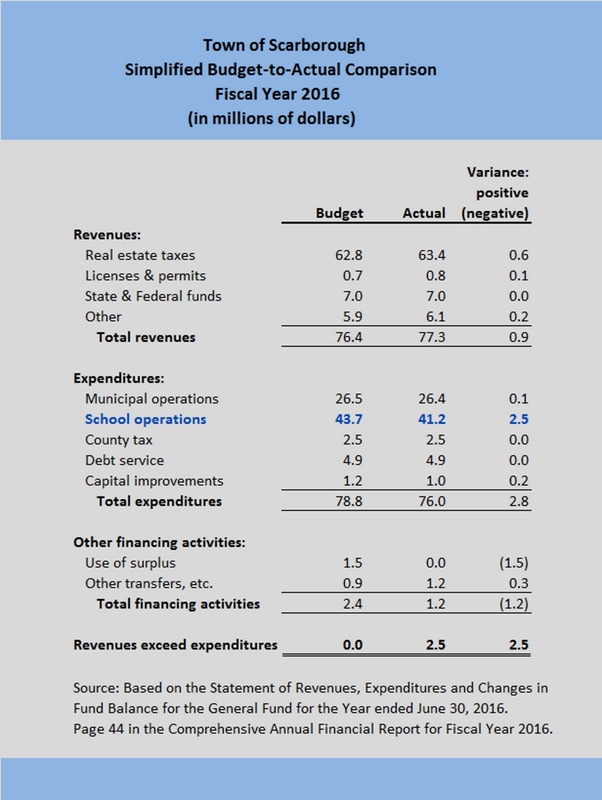 And as you can see from the bottom line, revenues exceeded expenditures by $2.5 million. The more technically correct term for the Town’s bottom line is the “change in fund balance.” While that’s not exactly the same as “net income” in the commercial world, it’s the same concept. The budget is designed so that real estate taxes and other revenue sources cover all expected expenditures, thus the budgeted bottom line of zero, or break-even. But due to a combination of factors, we ended up 2016 with $2.5 million more than needed to cover actual expenditures. Not bad at all. While a number of factors contributed to this excellent financial performance, the one area that stands out is school operations with a favorable expense variance of $2.5 million. That is, the schools spent only $41.2 million, as opposed to the $43.7 million that they budgeted. The take-away message: The Town generated $2.5 million more than expected in Fiscal 2016. Or, put another way, collected $2.5 million more in taxes than was necessary to cover actual expenditures. A trend or a fluke? So was the exceptional financial performance in Fiscal 2016 a fluke? No, it wasn’t. In Fiscal 2015, the excess of revenues over expenses (or change in fund balance) was about $2.0 million. That’s a total of $4.5 million more than expected in the past two years. And as the following chart from the independent auditor’s overview of Fiscal 2016 confirms, the general fund balance (essentially accumulated annual surpluses) has grown nicely over the past three fiscal years – from about $9.6 million to $14.2 million. 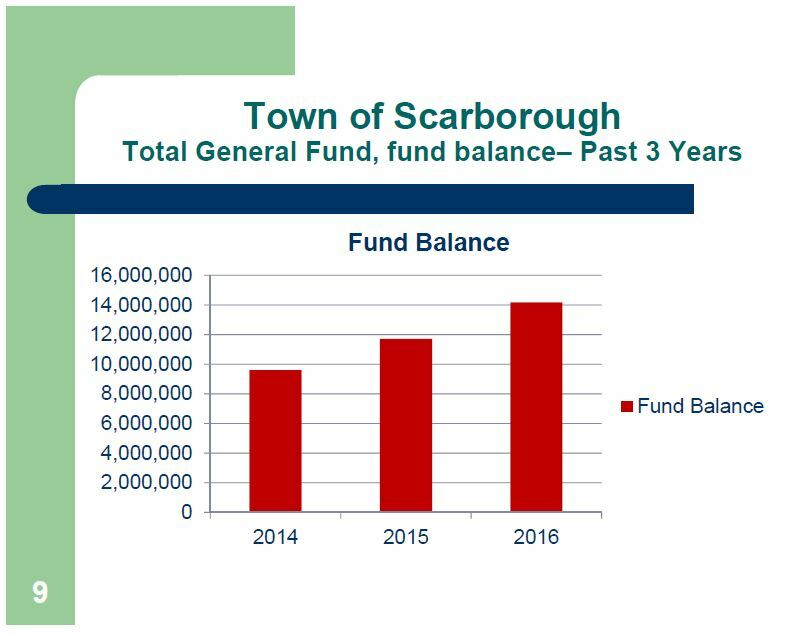 Source: Macpage LLC’s Town of Scarborough Financial Statement Presentation, June 30, 2016. Link here. 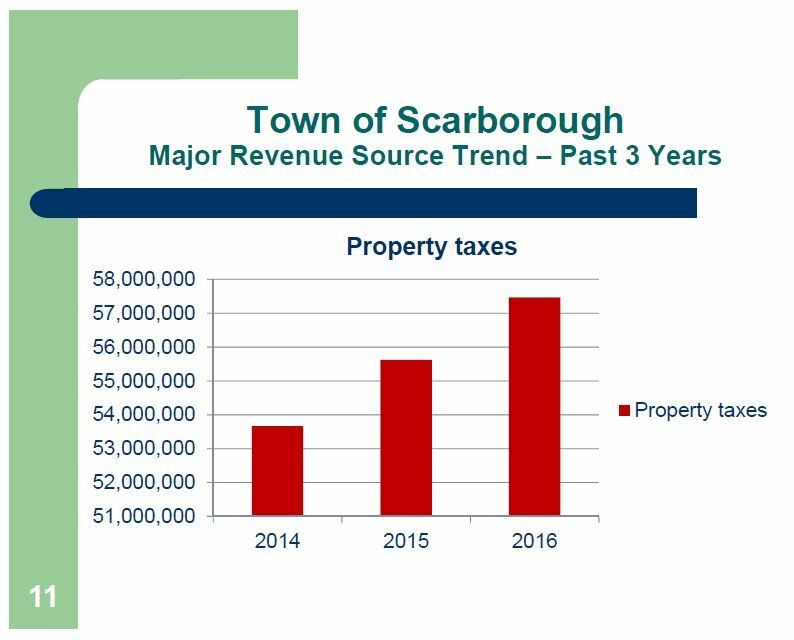 How many Scarborough residents have seen their incomes grow at a similar rate over that period? All of which leads us to a proposal on what to do with those surpluses generated in the last couple of years: use a portion of them to pay for the growth in expenses in the Fiscal 2018 budget which is being developed now. The result – no increase to the current tax rate of $15.92. At current expense levels, a 4% increase* in spending of both municipal and school budgets would produce about $3.1 million of additional expenses in Fiscal 2018. So let’s use a portion of those surpluses of the last couple of years to pay for the expense increases in Fiscal 2018 and leave the tax rate unchanged. 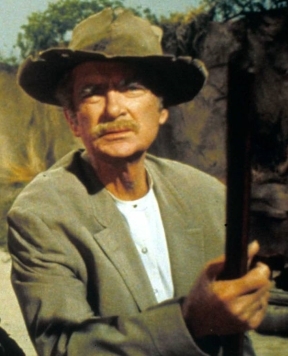 Some members of the Town Council want you to believe that the tax rate has to increase by 3% every year. Tain’t so! If expense increases were controlled and past surpluses were applied judiciously, the tax rate could actually be held unchanged. Let’s try it for a year and see how it works! Remember, those accumulated surplus funds are your tax dollars! *Yes, a 4% increase is too high. It’s the root cause of our steadily increasing tax rate. But that’s our current reality, unfortunately. The outlines of the budget challenges for Fiscal 2018 are just starting to emerge. We’ll keep you posted, as always. In the meantime, it might be helpful to look into yoga classes or other stress-reduction options. It could be a difficult budget season. In another Pine Point land deal, the Town Manager is negotiating with Mr. Gendron over Mr. Gendron’s claim that he owns half of the Avenue Two Extension. We’ll follow this closely. Wouldn’t it be great if the public’s traditional access to the beach could be preserved? This entry was posted in Uncategorized on March 6, 2017 by Site Author.